Where are the Previous Year’s Reports for my Simulation Company? We keep a record of all your simulation company’s past decisions and a selection of key reports from previous years. Scroll down or use the menu to the right to locate the simulation you are using. 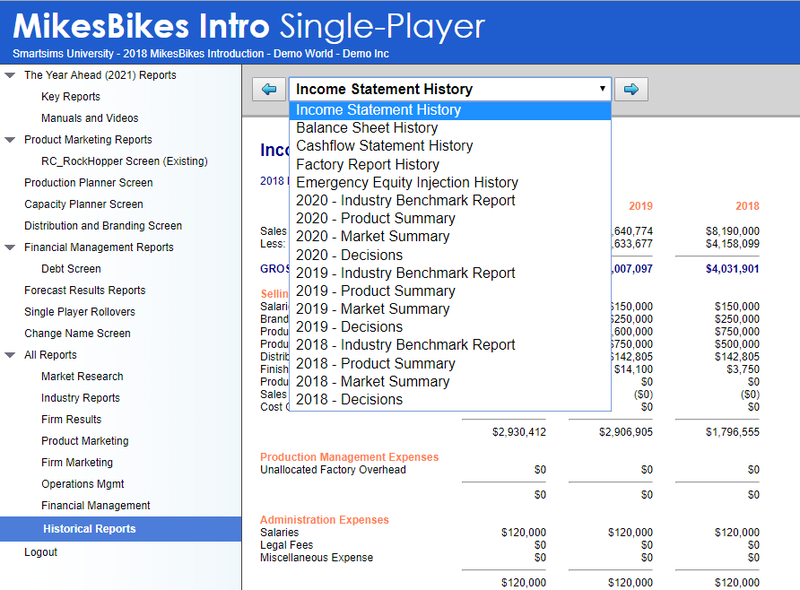 Past decisions and key results for your MikesBikes Intro company can be found under the Historical Reports sub-menu. Go to the All Reports menu. You can then use the drop-down menu from within this screen to navigate through the reports available. 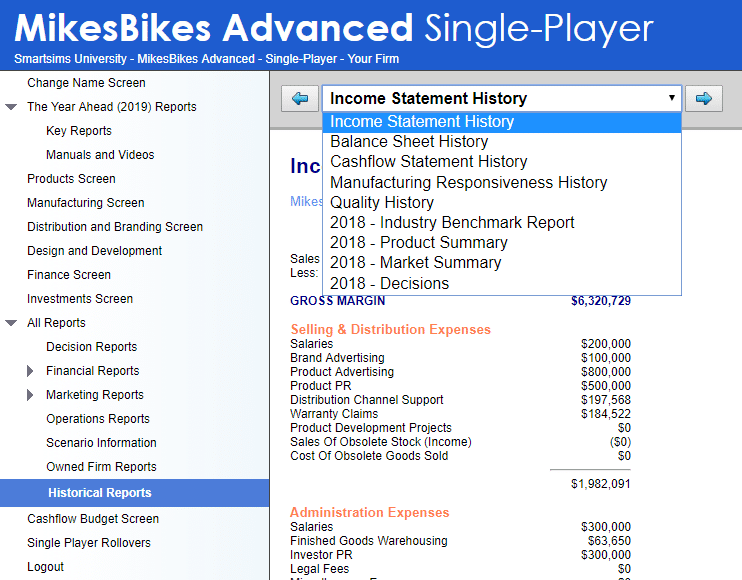 Past decisions and key results for your MikesBikes Advanced company can be found under the Historical Reports sub-menu. 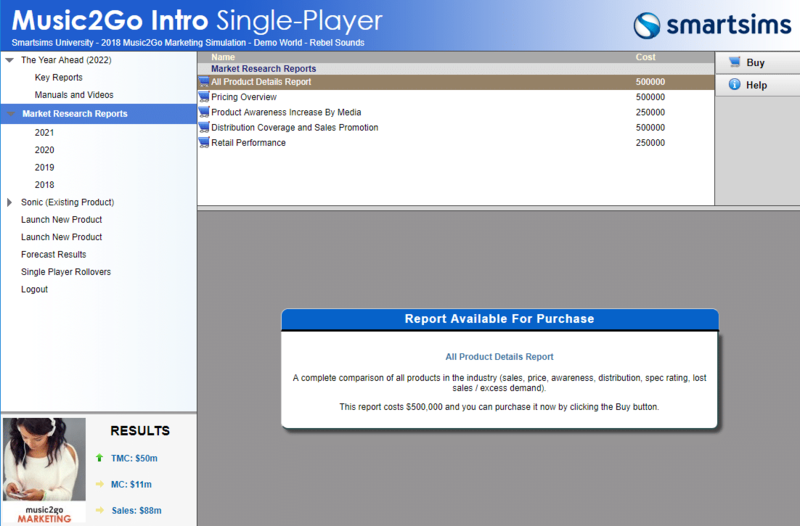 Historical reports for our Music2Go Marketing simulation are available once purchased through the Market Research menu. Go to the Market Research Reports menu. Reports that you have purchased in the past are available under the Market Research Reports menu. 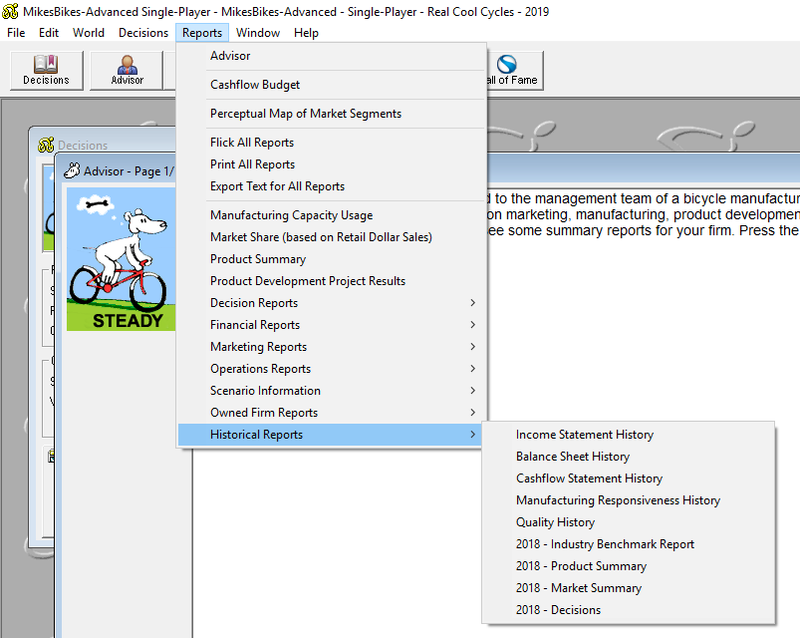 Select the year you purchased the reports, then use the drop-down menu from within this screen to navigate through the reports available. 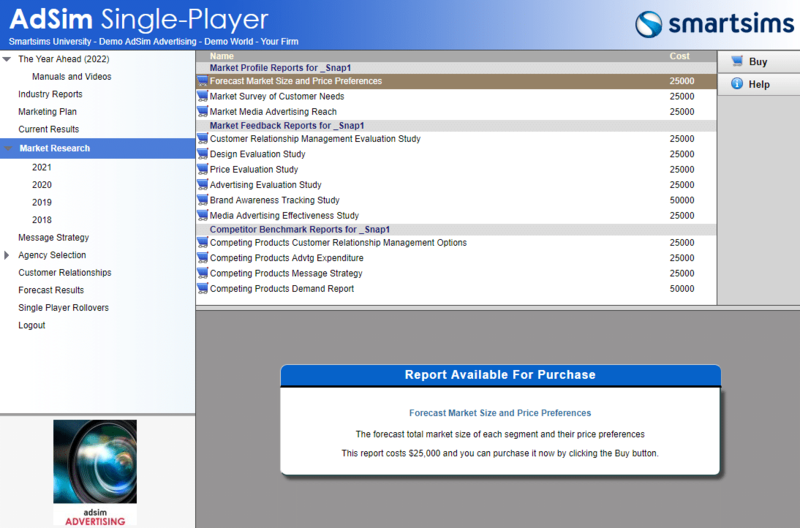 Historical reports for our AdSim Advertising simulation are available once purchased through the Market Research menu.